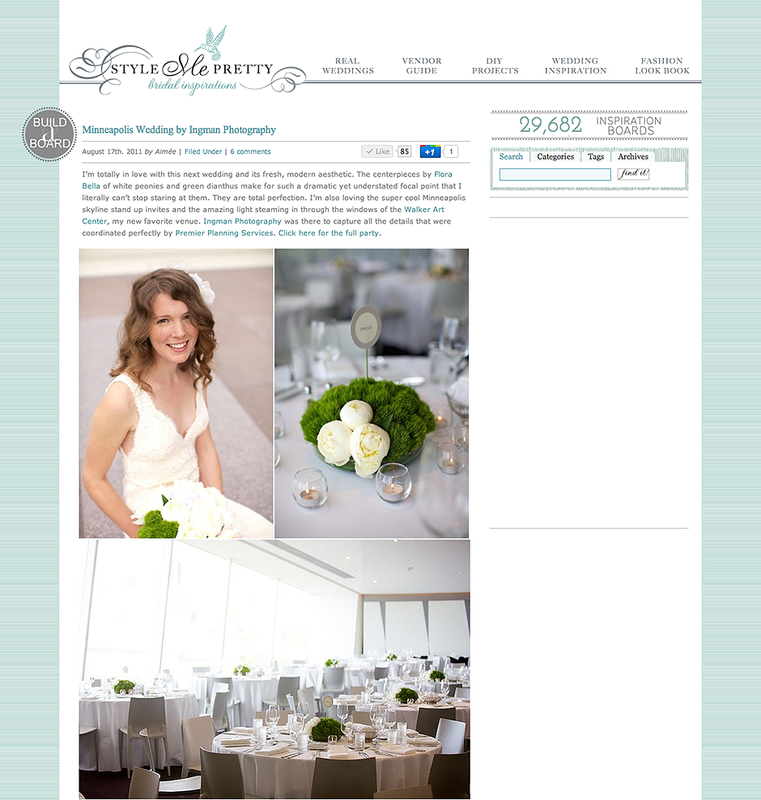 I absolutely adore the wedding inspiration site, Style Me Pretty and am thrilled that Kate and Garnet’s wedding is featured today! Check out the entire gallery once you get to the bottom. It has been so great getting to know Lisa, from Flora Bella, working with Lynn Edwardy from Premier Planning Services again, and even more fun to work with my friend Tia! Thanks for being so awesome ladies. And a huge thank you to everyone at Style Me Pretty! Well deserved coverage on StyleMePretty. Congratulations, Anne! Thanks Sherry!!! So excited about the featured!